This is a very interesting book. Back in the sixties Harlan Ellison wrote what is often called one of the best original Star Trek episodes. It is one of my favorites. Then it was revealed by Ellison that Roddenberry rewrote his manuscript. Now I finally get to read the original manuscript. I see the merits of both versions of the story. And the additional bonus of having one of the top Star Trek artists, J. K. Woodward. He perfectly captures the images of the original cast. The combination of a great story with amazing art makes this a highly recommended book. 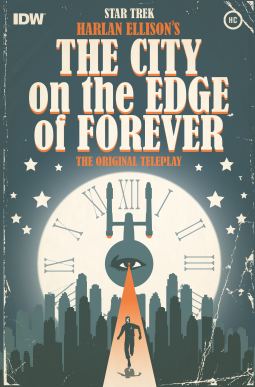 It is a must have for fans of the original Star Trek.